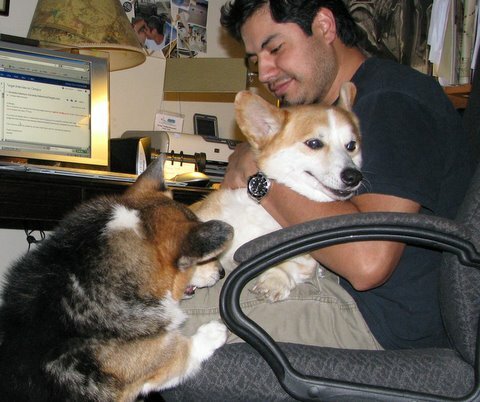 Friends, today I crank up the wayback machine for a really special treat. 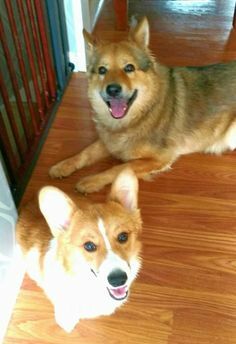 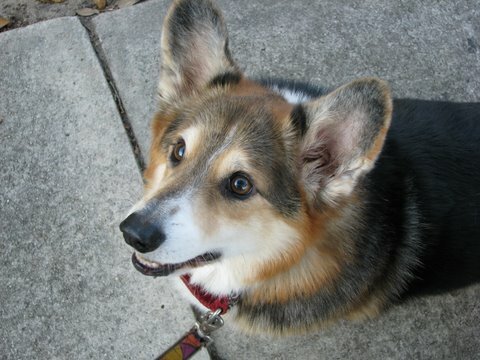 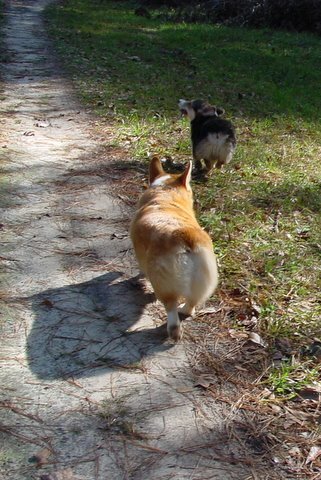 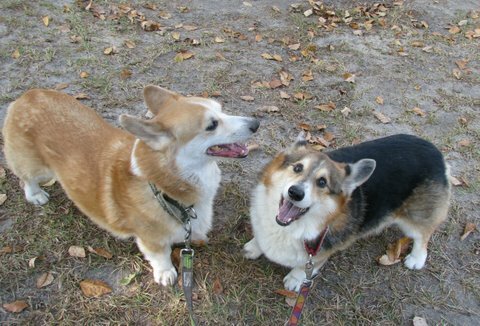 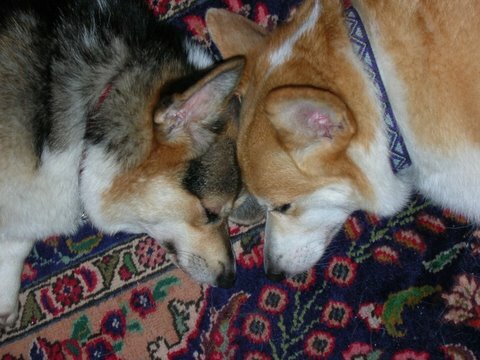 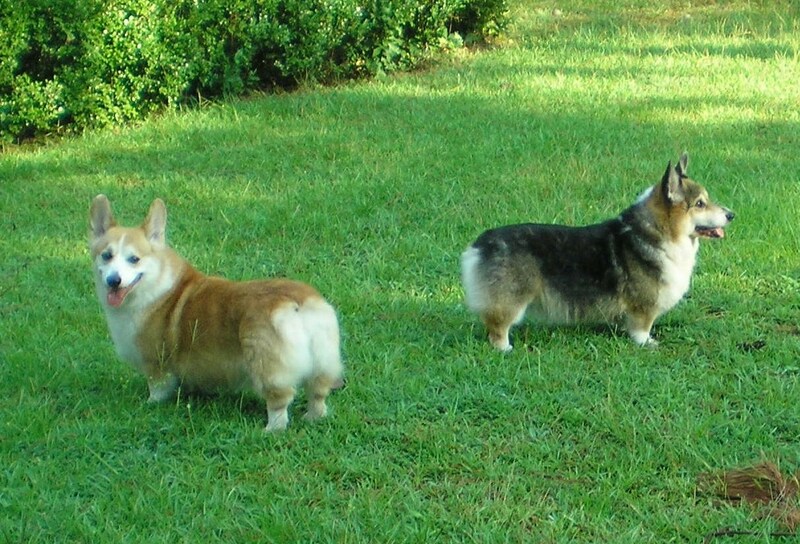 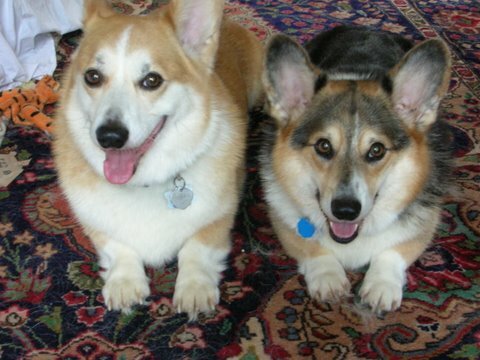 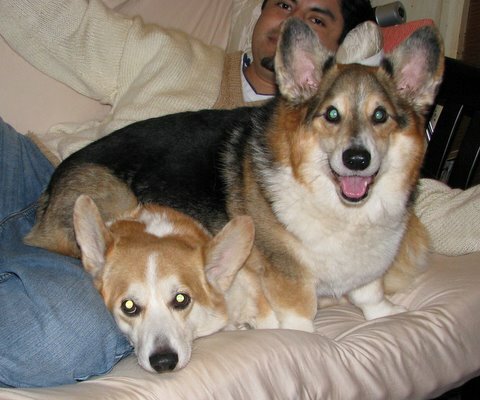 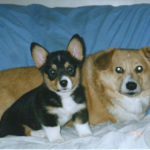 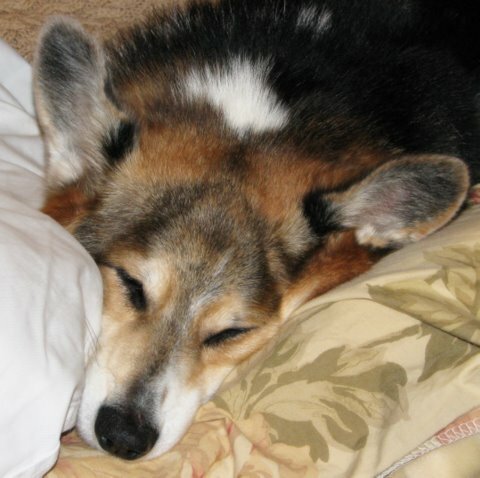 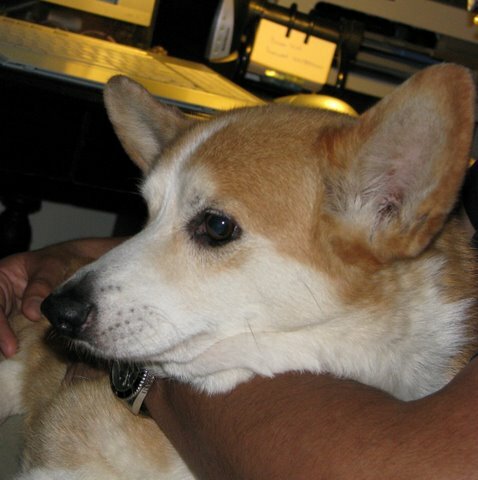 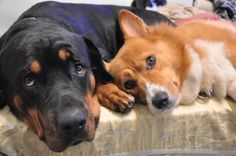 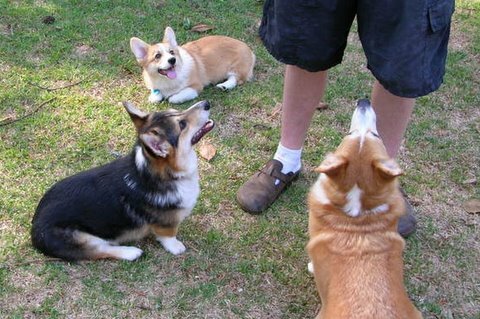 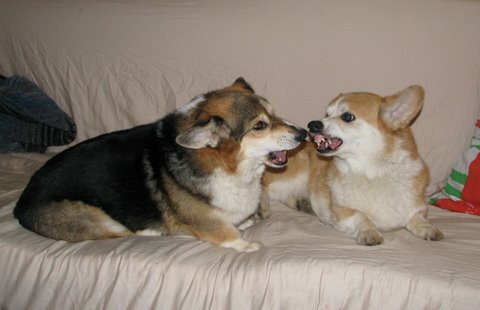 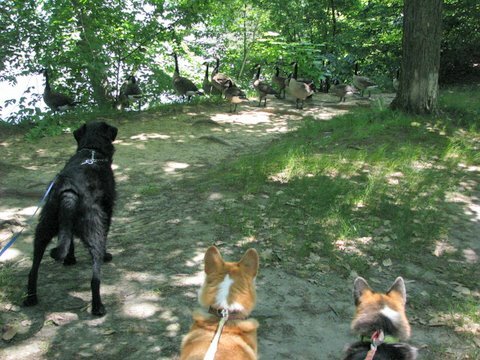 These two lovebugs made their Daily Corgi debut all the way back in 2011! 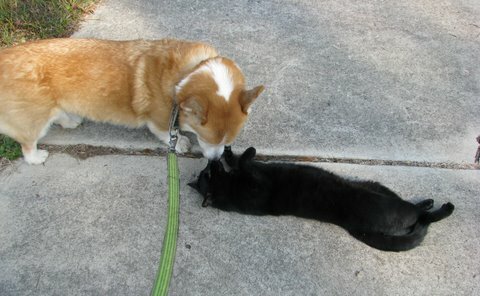 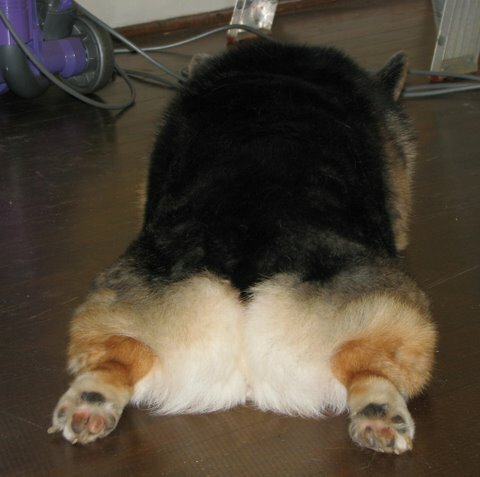 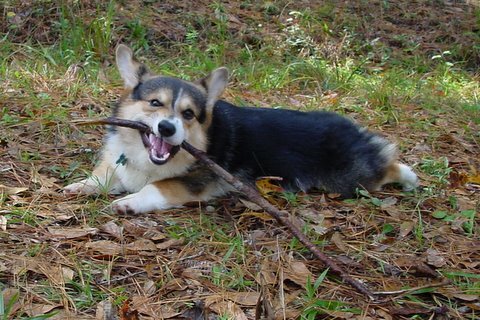 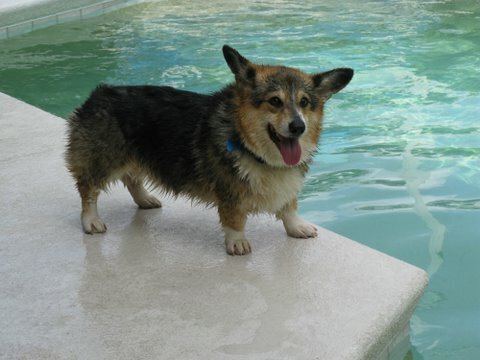 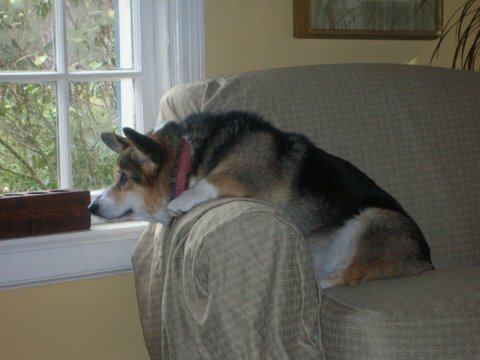 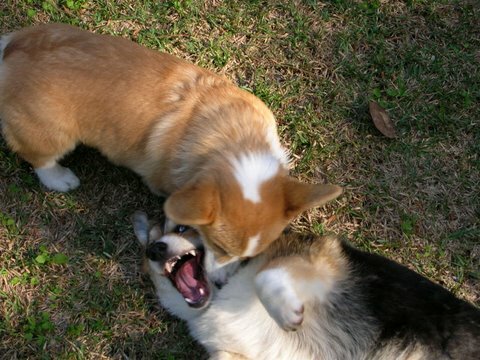 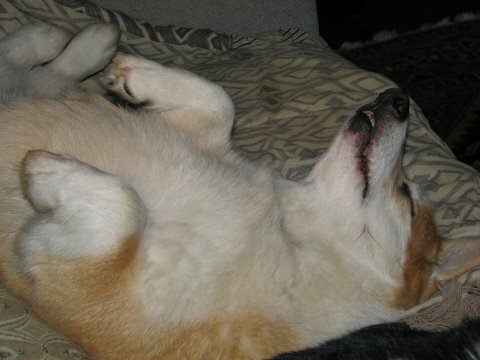 I believe posts like these stay fresh, because Corgi Power is FOREVER. 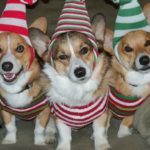 There have been a few other “look back” posts this week, as I’m working hard on my Caring Corgi Christmas Cards campaign. 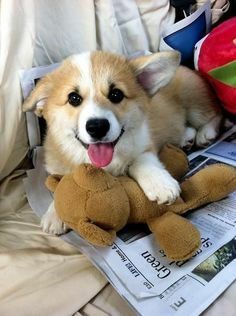 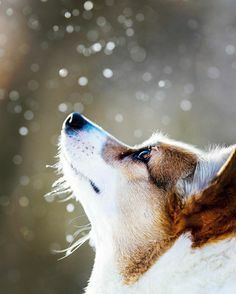 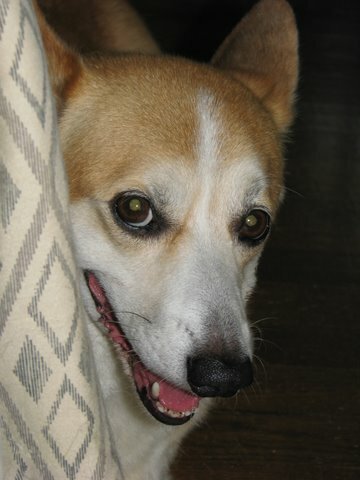 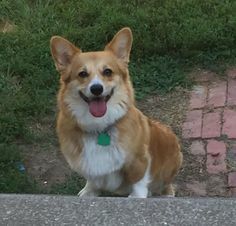 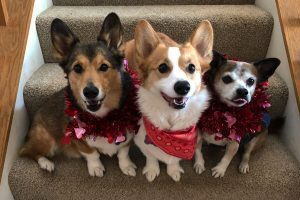 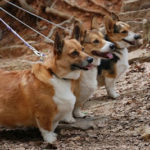 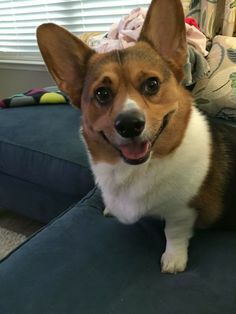 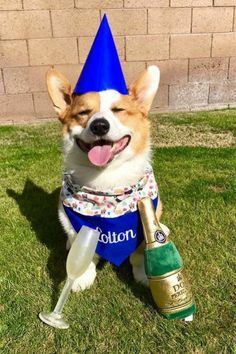 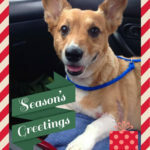 I’m connecting people who need extra cheer this year at the holidays (because they’re grieving a Corgi) with other people who want to send Corgi Christmas cards. 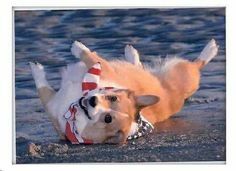 I hope to get a few hundred cards making their way across the country (and a handful to Canada) very soon! 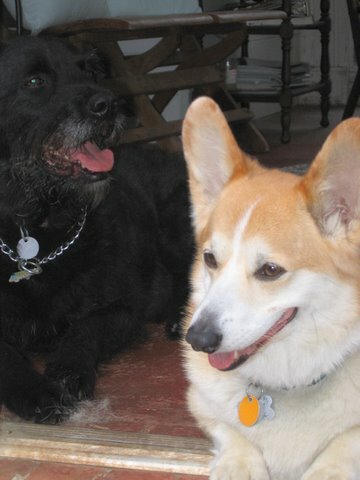 Now, without further adieu, I give you the magical memory that is Mingus and Coltrane. 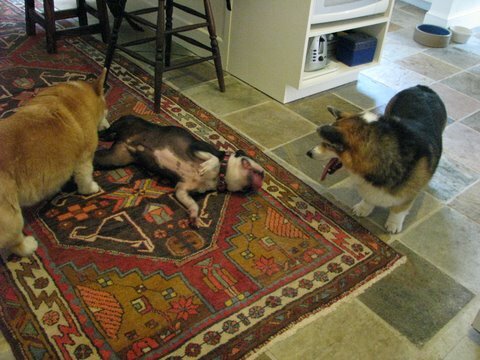 … but his seven year-old brother frequently annoys him. 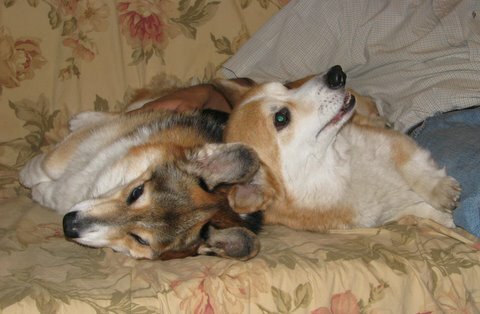 Before he came to live with Lois and Remi, he was a singleton who lived with his mother and a few other adult females who were shown by his breeder. 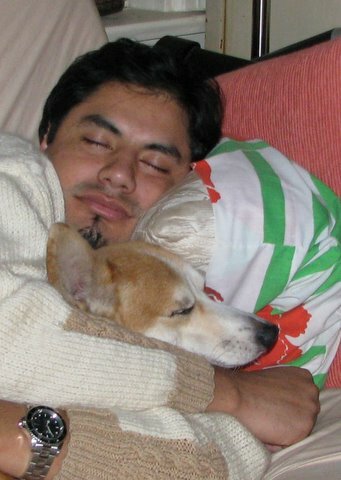 … while Mingus prefers to sleep with Daddy. 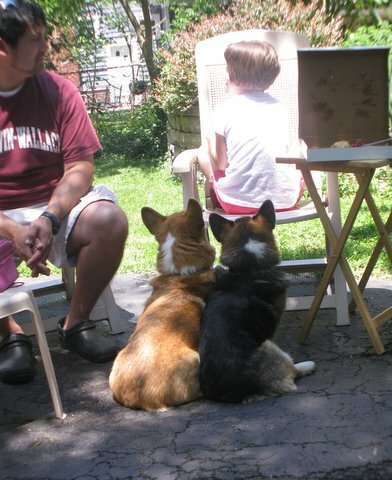 What happens in the backyard stays in the backyard! 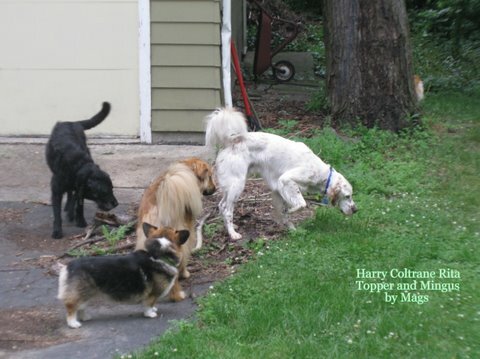 They have “cousins” in Cleveland, Ohio: Topper, Rita, and Harry. 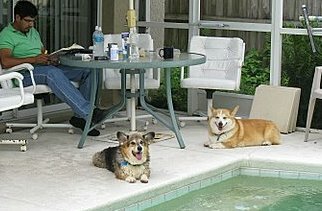 … a very good life indeed! 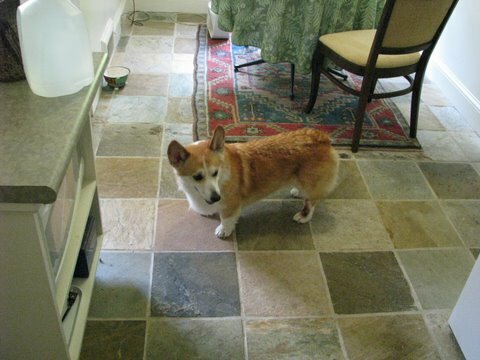 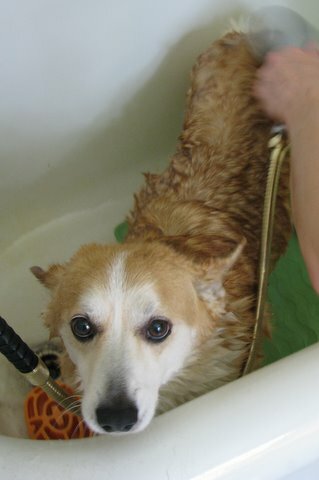 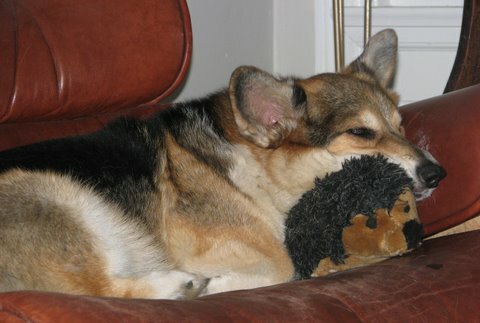 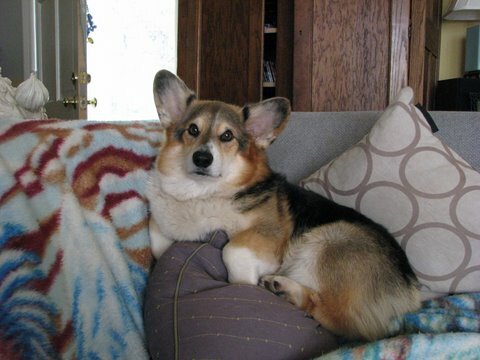 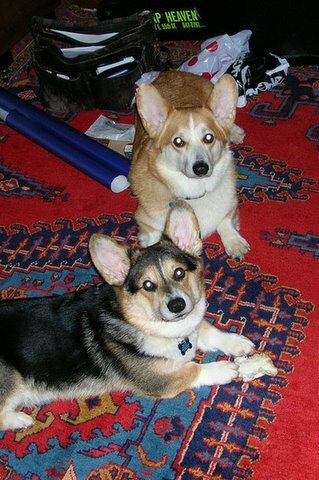 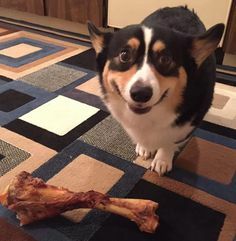 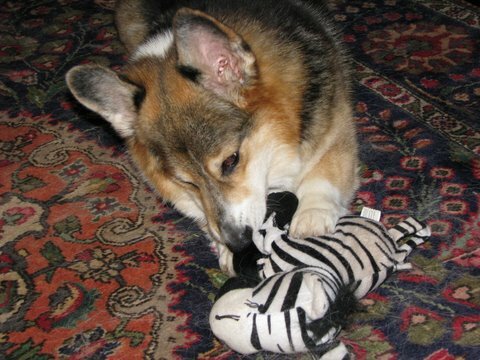 Thanks for jazzing up The Daily Corgi, Coltrane and Mingus!